Because, why just eat the fruit when you can be the fruit? 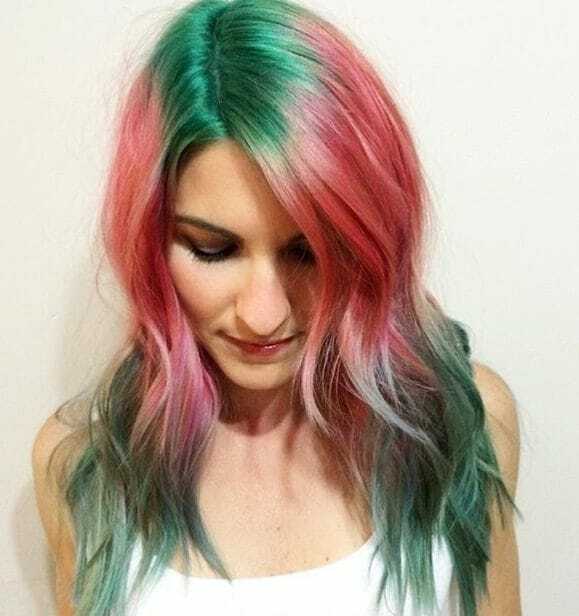 Have you been keeping up with all of the colourful hair trends? Then you’ll have seen rose gold, blorange and even unicorn strands taking over. 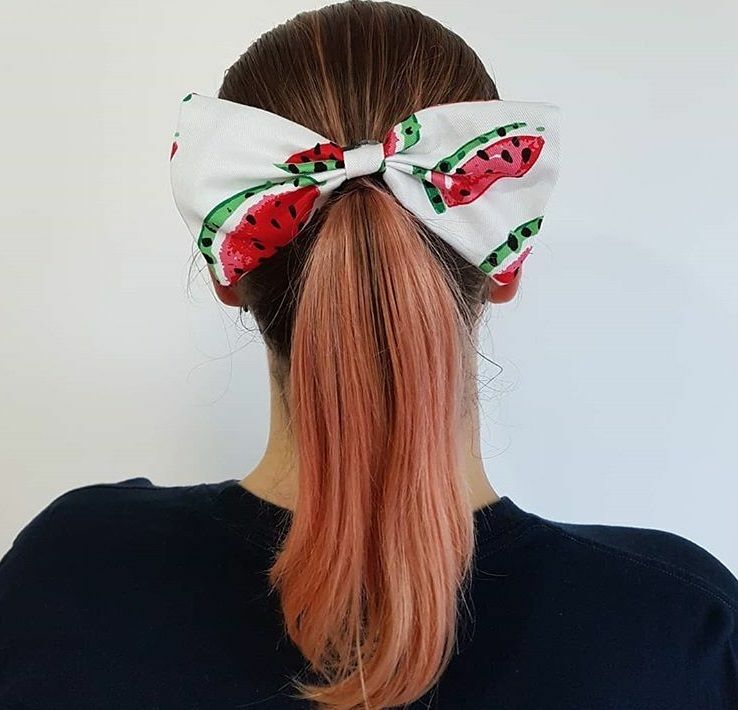 But just when you think you’ve seen them all, an even sweeter hue is upstaging them all: watermelon hair. 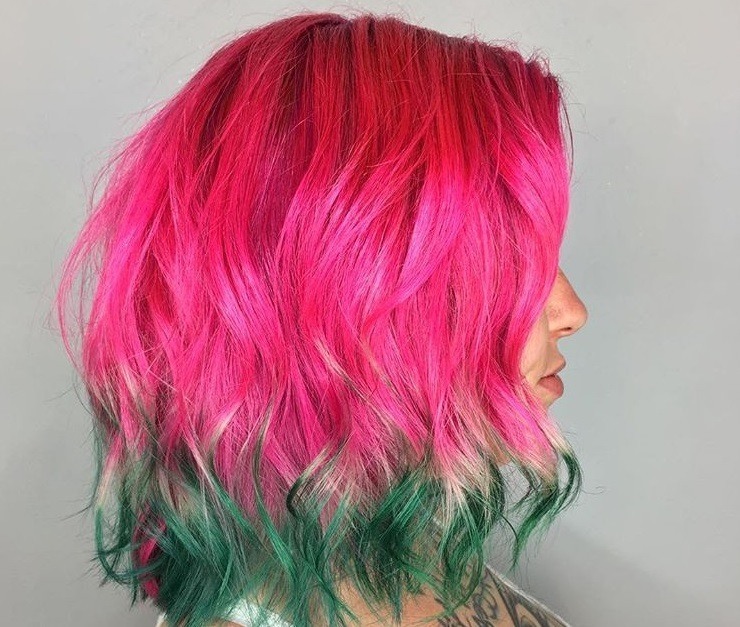 Just like the tasty summer staple itself, this fruity trend incorporates shades of pink and green that you can ombre or try all-over. Want to see? Keep on reading. 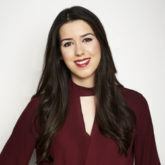 Up next: How to get perfect beach hair for every hair length. 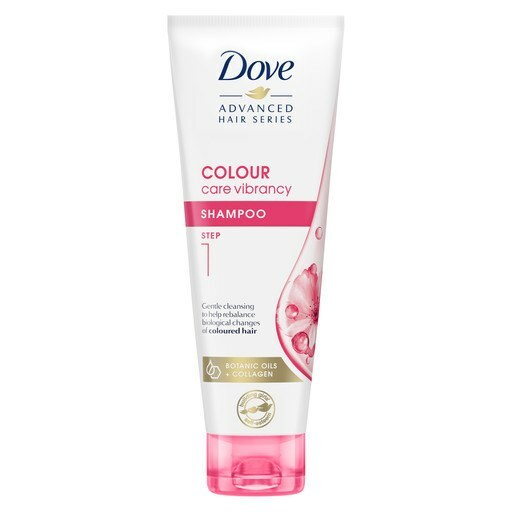 Editor’s tip: Thanks to a powerhouse of hair-friendly ingredients, you can nourish your colour-treated strands and give them a glossy boost with the Dove Advanced Hair Series Colour Care Shampoo and Conditioner. 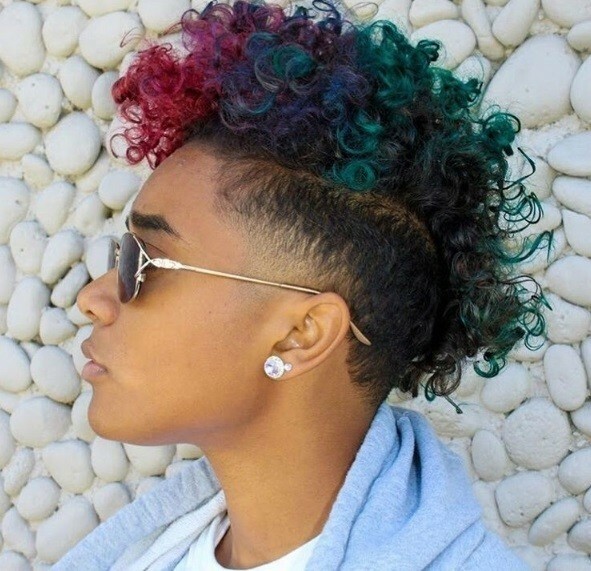 The idea behind this sublime two-tone look? 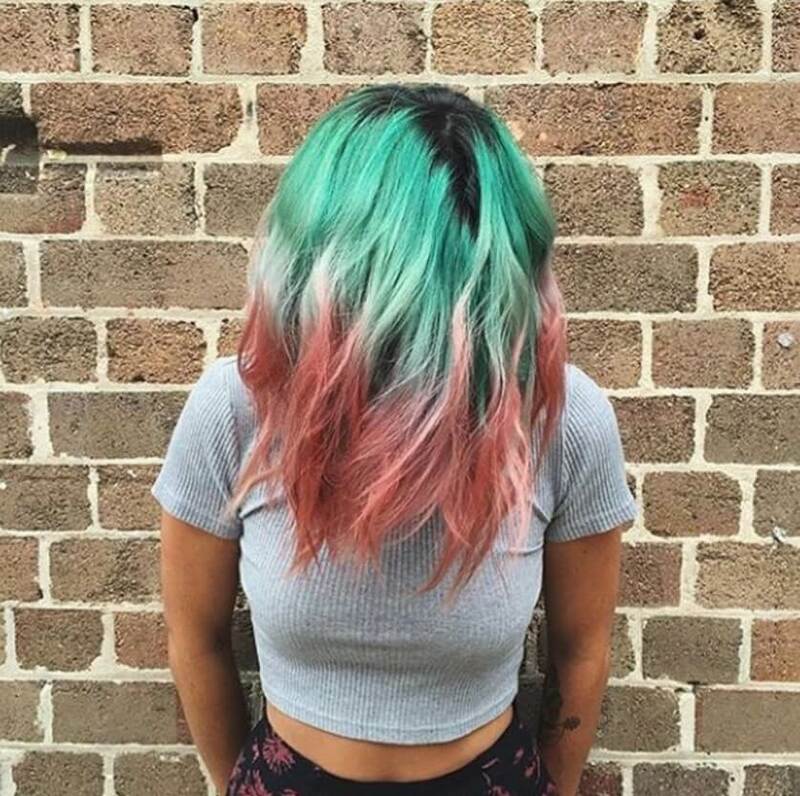 To vertically split the hair colours right down the middle, instead of them fading into one another. 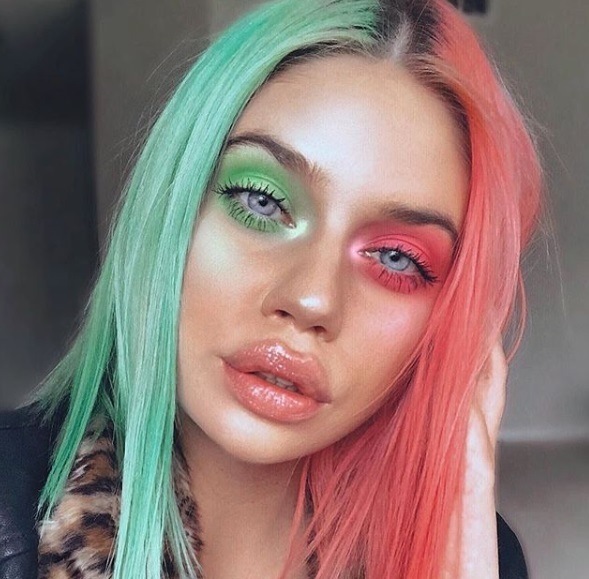 Next read: Ombre hair colours natural-haired beauties will want to slay. These amazingly cool hair designs look just like optical illusions! 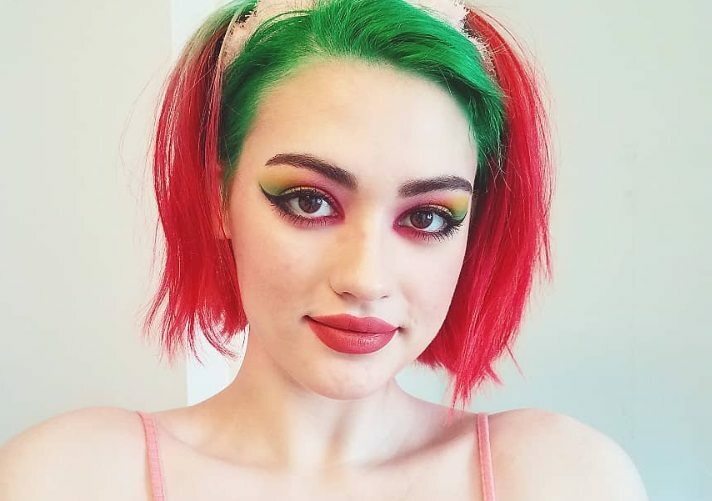 Bella Thorne has multi-coloured hair - and it's electric!